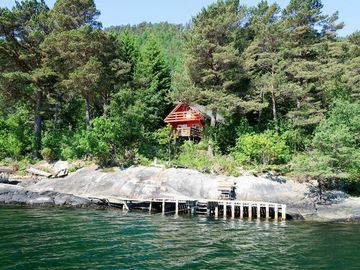 The area's jazz and churches are just some of the reasons to come on holiday to Balestrand. Well known for its mountain views, aquarium and cross-country skiing, this scenic city won't disappoint. Whether you're planning a family holiday, a trip with friends or a romantic retreat, HomeAway has a great selection of holiday homes. Many rentals come with a full kitchen and separate dining area, perfect if you need a space for entertaining. The nearest airport is in Sogndal (SOG-Haukasen), located 24 mi (38.6 km) from the city centre. If you're unable to find a flight that fits your schedule, you could book a flight to Forde (FDE-Bringeland), which is 24.9 mi (40.1 km) away.